The long-time host of A New Day will sign off for the last time on Thursday. When Sandi Coleman wakes up this Friday morning, it truly will be "a new day" for her — her first as a retiree. After a four-decade career in broadcasting, including the last 16 years in Yukon, Coleman is signing off. 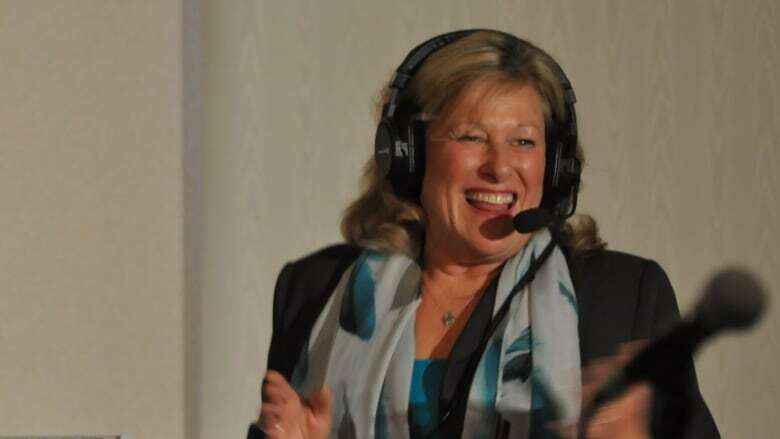 Thursday will be her last day as host of A New Day, CBC Yukon's morning radio program. Retirement will be an adjustment. 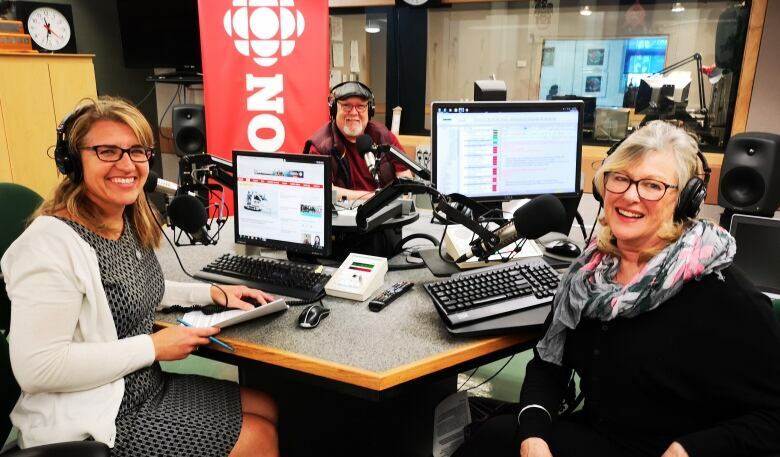 She's gotten used to that 3:30 a.m. alarm, and being first into the Whitehorse station each morning, getting a handle on the day's news while most of her audience is still deep asleep. "You are the first to find out what went on overnight. You're the first to be able to tell everybody else what happened. You're the first to know," she said. "I'm really going to miss my listeners ... You're aware that you're talking to them, you know, over breakfast, and they're trusting you. They're trusting that you're going to put them in the right start to the day." Coleman can remember her first time behind a microphone. She was a Grade 6 student in Burlington, Ont,, an aspiring opera singer who was heartbroken when she didn't make it into the school choir. "[The school principal] found me crying in the hallway and said, 'that's OK — I've got a job for you.'" She was asked to read "In Flanders Fields" over the school's P.A. system for Remembrance Day. A future broadcaster was born with that commemorative poem. She later went to school for broadcast journalism, dreaming of becoming the next Barbara Walters. It was the 1970s, and there weren't a lot of other role models for young women pursuing those careers. After graduation, Coleman learned why — she easily found work, but just as easily found a glass ceiling. "I was point-blank told I couldn't apply for [a] station's sports director job because girls didn't do sports," she recalls. 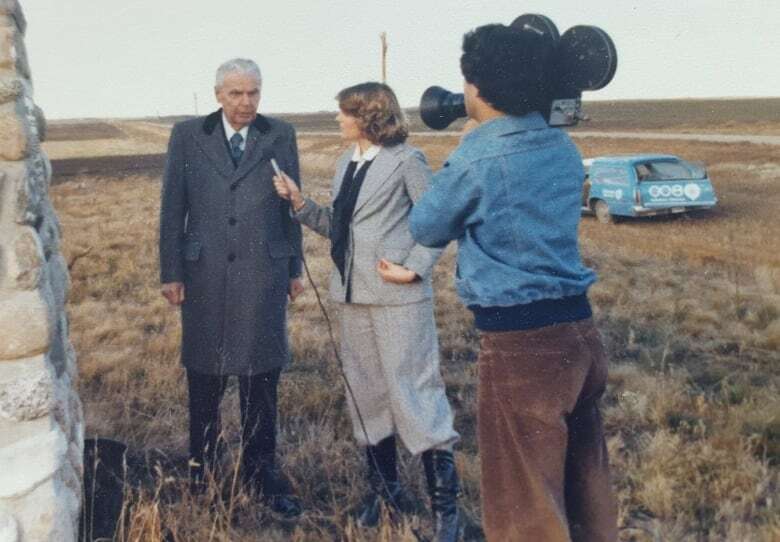 Her first job was at a private radio and TV station in Saskatchewan, where she was assigned the "Diefenbaker beat" — as a young reporter, it was her job to interview the former prime minister every time he returned home to Prince Albert. "I just knew that if you wanted a good quote, you just had to mention Pierre Trudeau and he'd get all riled up." Saskatchewan was also where she found her passion — telling stories of "ordinary Canadians doing extraordinary things." One of her first assignments there was to cover a "combine bee." She was baffled. "It was a farmer, he'd broken his leg so all the other farmers in the community stopped their harvest and brought their combines to his farm and they combined his fields. And there was this huge feast in the kitchen with all the local women," she recalls. "My family always said, 'why don't you come back to Toronto?' And I never wanted to go back to Toronto." From Saskatchewan, she moved to Winnipeg to work for CTV before eventually forming a small TV production company with some colleagues. They spent a few years driving around rural Manitoba in a van, making a hit CBC-TV show about regular folks, called Breakaway. "It was just the best job in the world. It was so much laughter, and it was just showcasing what Manitobans do to enjoy life in their spare time ... it was such a simple concept." 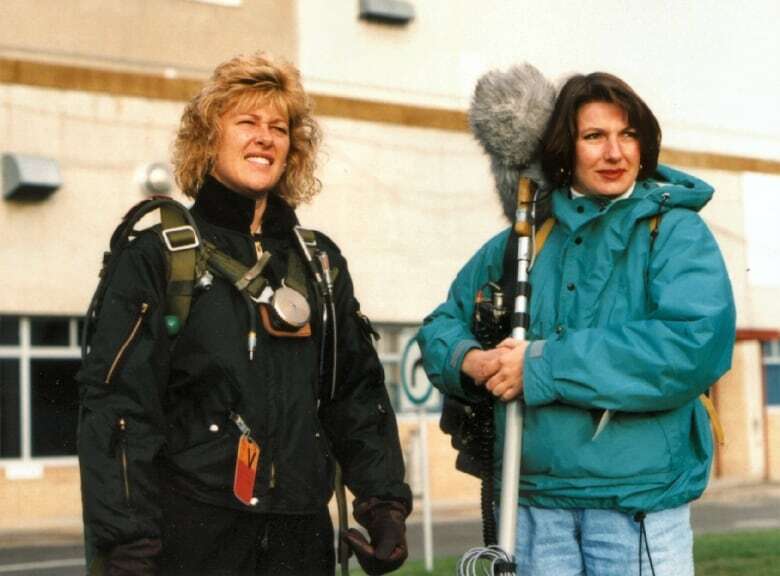 From there, she became a radio and TV announcer at CBC in Winnipeg — a city where she's still recognized on the street — and eventually heard adventure calling when CBC Yukon was looking for a radio host. Coleman got the job, so she packed up with her husband and young daughter and hit the road north. What followed were 16 more years of doing what she loved — connecting with CBC listeners, especially those in smaller communities, and hearing and sharing their stories. Arnold Hedstrom, who retired last year as the long-time producer of A New Day, says Coleman makes a tough job seem easy — "she always hits the right tone," he says. "Sandi just has an incredibly good rapport with people, in the studio or on the street, and through all kinds of different subjects," Hedstrom said. "She had just really strong connections around the territory, and so she always had lots of ideas and insights into things that were going on — and of course that fuels the show." Elyn Jones, CBC Yukon's morning news editor, has also worked alongside Coleman for more than a decade. 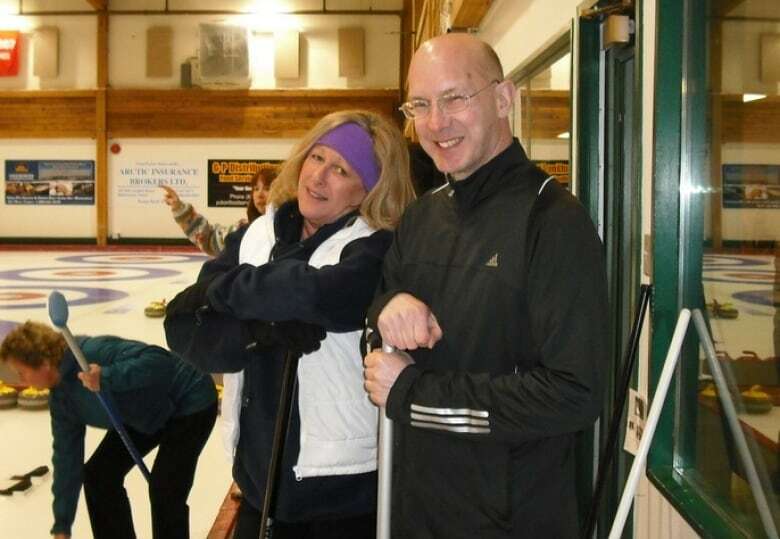 Along with studio director Roch Shannon Fraser, they've become part of many Yukoners' morning routine. Jones jokes that Coleman has become her "work wife" — a trusted friend and confidant. "What you hear on the air is the person she is — friendly and she's always funny. And so it wasn't ever hard to get up in the morning and come into work," Jones said. Coleman also says she's also going to miss the comraderie. "Because it's live radio, you really learn to count on each other and read each other's thoughts. Really," she said. She's not sure yet what retirement will look like for her. She knows summers will be spent at her cottage in northwestern Ontario, but Whitehorse will remain home. She hasn't ruled out doing some writing, or even broadcasting of some sort. "I guess I just feel that I will always be a storyteller, somehow," she said. "I don't think you can just stop wanting to share stories."